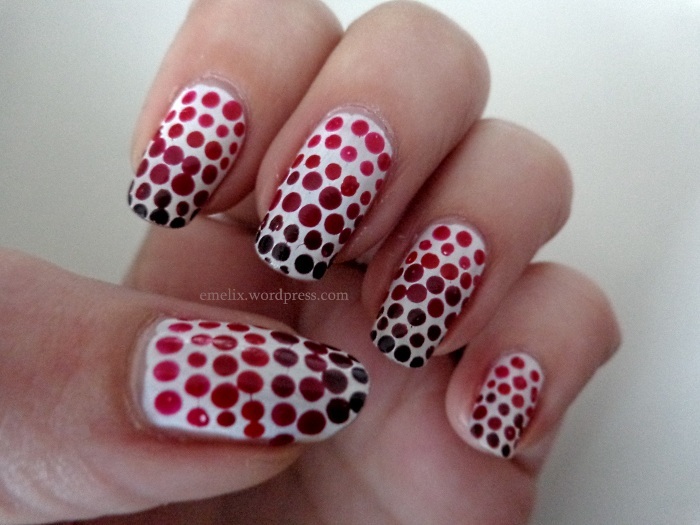 This entry was posted in Beauty, DIY, Fashion, Humor, Life and tagged beauty, Budget, Catrice, Creative, DIY, Dotting Tool, eBay, Etos, Gradient, Long Nails, Make-up, Manicure, Nail Art, Nail Care, Nail Polish, nailpolish, Nails, O.P.I., OPI, Polish, Red Nails, Rimmel. Bookmark the permalink. Glad you like them :) It’s funny you should say that I’m patient, because usually I have a huge lack of patience! It’s just my little bit of Sunday evening “me-time”. I’m definitely far too impatient to do it on a daily basis… Hell, 99% of the time I’m not even able to pick out my clothes for the next day. It sounds so easy, but it’s a mystery to me how people do it! Lol. It looks totally awesome! Love it.